In current 3B survey. New aluminium superstructure fitted in 2003. 15 tonne freezer with Bitzer and Copeland compressors. Kelvin 8 cyl main. Hino & Isuzu gensets. Very well laid out accomm for 8 crew + skippers cabin on bridge deck. Bilge keels and hydraulic stabilizer fins make this an excellent sea boat. 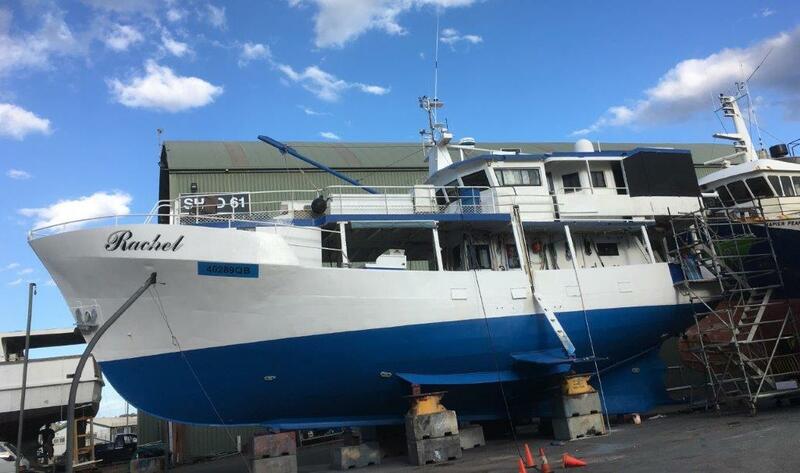 This vessel has been maintained by a very experienced owner since new, and is well suited to a wide range of uses. Inspection is highly recommended.